Mariel Margaret was training to be a footballer. Once, while on a gruelling road run, her coach said, “You run like a girl.” “If you run a little faster, you too can!” replied Mariel. Mariel Margaret is better known as Mia Hamm; the greatest woman footballer ever. She played as a striker for the United States of America in four World Cups, led her team at three Olympics and was the first woman to be inducted into the World Football Hall of Fame. In India, sport for women is taboo. But there are those who have broken the glass ceiling — nay, smashed it – to become national and international icons. Mithali Raj, Jhulan Goswami, Mary Kom, Sania Mirza, Saina Nehwal, Pusarla Sindhu, Geeta Phogat, Sakshi Malik, Deepa Karmakar and many others have brought pride and joy to Indians through their sporting exploits in recent years. Yet, are any of them treated on par with men? 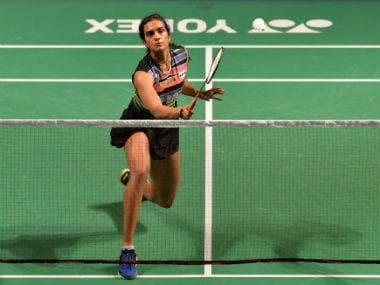 Do these ladies, these outstanding sportswomen, who have fought all odds to make it to the top, have to nudge legends like an Abhinav Bindra, or a Sachin Tendulkar or a Leander Paes to be noticed? Sania Mirza, one of India’s finest tennis players, was once issued a fatwa by a maulvi in Midnapore, stating that her dress ‘left nothing to imagination’. She was also criticised for ‘living’ with her husband, the Pakistani cricketer Shoaib Malik, before marriage and some Islamic groups even threated to disrupt her matches. Sania, who is a devout Muslim according to her father, stood her ground and wasn’t intimidated by the happenings around her. After all, sports, they say, do not just build character; they reveal it! Mary Kom, Indian boxing’s pride and joy, also had to face a lot of discrimination to succeed at the international level. Nicknamed ‘Magnificent Mary’, she is a five-time World Amateur Boxing champion and won a bronze in the 51 kg category at the 2012 Summer Games. The Bollywood movie, Mary Kom is the story of this extraordinary champion, with Priyanka Chopra playing the lead role. Though the biopic is an honest attempt to immortalise the trials, the tribulations and the triumphs of this big-hearted girl from Manipur, it could have done a better job addressing the subject of women’s discrimination in Indian society, in general, and sport. “Mary Kom, the film, hurries through its character's travails like a history textbook chapter. It states every fact but never quite creates the requisite emotional attachment,” writes Rachit Gupta in Filmfare. He believes that there was surely a better perspective to her story. “It could've been much more thoughtful, much more insightful,” he opines. Another biopic of sorts, Dangal features grapplers Geeta Phogat and Babita Kumari, and their father’s (Aamir Khan playing Mahavir Singh Phogat) unstinting resolve to make them professional wrestlers. The movie was a huge box-office hit. Meena Iyer, in her review of Dangal for The Times of India writes, “Messages on our obsession with the male child — prevalent since the dark ages, myopic stand on bringing up our daughters and the administration’s pathetic disposition towards sports are loud and clear.” She adds that since the movie encapsulates the historic wins of the Phogats, it is also bound to inspire more women to seriously consider ‘kushti’ as a career. Sports biopics can be truly inspirational. Following the success of Lagaan, a sports based film, came Paan Singh Tomar — the story of an athlete-turned-dacoit. The titular role of the athlete was played with a lot of sensitivity by Irrfan Khan. This was followed by Bhaag Milkha Bhaag, starring Farhan Akhtar and by Mary Kom. Azhar, the story of cricketer Mohammad Azharuddin didn’t do too well at the box-office. The reason for its ‘bombing’, it is alleged, was an attempt at cleaning up the ‘tainted’ image of the former skipper. On the other hand, MS Dhoni: The Untold Story, with Sushant Singh Rajput playing Dhoni’s character to a T, had a good storyline and appealed to a large audience that adored the cricketer. What the story brought forth in the movie was Mahi’s personal, emotional and psychological battles that have made him the icon that he is today. Playfully chiding Sushant Singh Rajput at a promotional event after the movie was released, Dhoni said, “These days, if you Google ‘MS Dhoni’, you get Sushant’s picture!” That's how good the actor's depiction was. Sachin: A Billion Dreams, a docudrama followed Dhoni’s movie and perhaps satiated the yearnings of the Master’s fans for a re-run on his life and career. Biopics have been a favourite Hollywood genre over the last half a century and more. What’s more, a large majority of Hollywood’s biographical films have been nominated for the Oscars and have won many awards too. From Rush to The Damned United to Ali to Chariots of Fire, the sports biopic has stolen a march over all genres of fiction because it delves deeper into the life and character of a well-known sportsperson. In India, quite a few sports biopics are now in the pipeline. Planned for 2018 are Akshay Kumar’s Gold, based on the life of hockey legend, Balbir Singh Sr.; a film on Dhyan Chand to be made by Karan Johar, and a flick on hockey star Sandeep Singh to be produced by Chitrangada Singh. There is also news of a biopic on Abhinav Bindra and then on the 1983 World Cup Cricket triumph, with Ranveer Singh playing Kapil Dev. 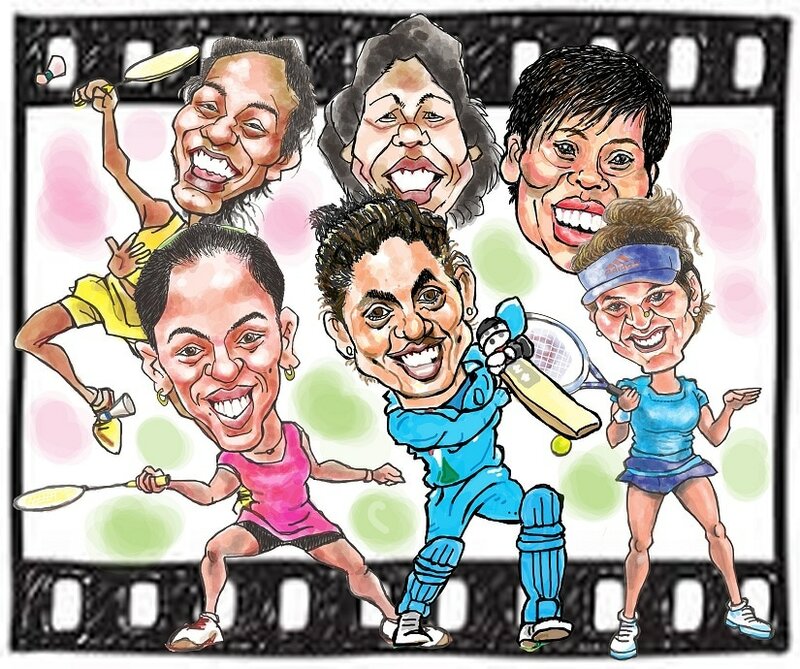 More importantly, biopics of Saina Nehwal, PV Sindhu, Mithali Raj and Jhulan Goswami — the gangly India fast bowler, are in the offing. Saina’s role is being played by Shraddha Kapoor and in all probability we shall see Deepika — a former badminton player herself and the legendary Prakash Padukone’s daughter — as Sindhu. Rights for the Mithali Raj biopic have been bought by Viacom18 Motion Pictures, while the movie titled Chakdaha Express, tracing Jhulan’s journey from a small cricket ground in Kolkata to Lord’s in London will be directed by Sushanta Das. Undoubtedly, highlighting the stories and the struggles that led to the success of these ‘legends-to-be’ will inspire more and more girls to take up sport as a career. What’s more, made with warmth and empathy, these biopics will help create space and respect for the ‘girl-child’ in Indian society. Therefore, the producers and directors of these four biographical films, those on the lives and times of Saina, Mithali, Sindhu and Jhulan, have a great responsibility on their hands. They can, with their opinions and their cinematic intellect, change the way Indian society treats its ‘betis’. The author is a caricaturist and sportswriter. He is also a former fast bowler, a cricket and football coach and administrator, and is now a mental toughness trainer.